The Shadows of Owls, a novel by John Keeble. Fiction. John Keeble brings to life the winter landscapes of Idaho, British Columbia, and Alaska, and reveals the interconnectedness of the people within--from scientists to loggers to white supremacists. A marine biologist, Kate DeShazer, is working on a comprehensive analysis of the North Pacific, and her research threatens the construction of an oil pipeline in Alaska's Chukchi Sea. A group of extremists, hired by an international petroleum conglomerate, intimidate her, steal her records, and leave her life hanging in the balance. Her husband Jack and son Travis are pulled into a web of intrigue and violence as they try to save her. John Keeble brings to life the winter landscapes of Idaho, British Columbia, and Alaska's Chukchi Sea, and reveals the interconnectedness of the people within--from scientists to loggers to white supremacists to deep sea oil drillers. "John Keeble has written a novel that will make your heart and mind race. 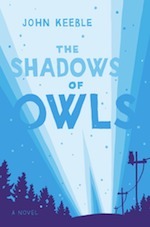 The Shadows of Owls pulses with masterfully written suspense and sparks with questions--questions about the alliances of sorrow and evil, sanctity and madness, love and regret, and especially about the cold, implacable contest between the amoral violence of corporations and the power of stormy seas and snow-drifted land." Kathleen Dean Moore, author of Holdfast and Wild Comfort. "John Keeble is a hell of a descriptive writer, and combining his brilliant talent and love of landscape with an eco-thriller is a great idea. The Shadows of Owls is an unusual and ambitious novel with great skill at depicting the outer life of the northwest and the inner life of its characters." William Dietrich, author of The Barbed Crown and Final Forest. "The Shadows of Owls evokes Edward Abbey's pro-environmental leanings and Ken Kesey's lyricism. With Keeble's familarity of fisheries, biology, computer technology, logging, and the workings of sea-going vessels, in places it reads like something from Tom Clancy." James Aho, Professor emeritus of Sociology, Idaho State University. ". . . it is the power of love, a family's fierce devotion and unswerving friendship that propel this exciting and deeply moving novel. Keeble has crafted an armchair-gripping eco-thriller that is broad and generous in its portrayal of ordinary people caught in the grip of unchecked power." Tim McNulty, The Seattle Times. "And so, Shadows of Owls is less a thriller and is, at heart, a meticulously recorded document of the life and land in the Idaho Panhandle and British Columbia. Keeble's love for the area . . . is contagious. Kate and her family are likable, it's engaging and, toward the end, nail-biting to read as they tumble toward uncertain fates and a disquieting conclusion. . . . Keeble has created a parallel universe that will likely stay with the reader for a long time." "Keeble's prose and descriptions of the landscape in the Northwest are stunning, and he takes every opportunity to slow the narrative and observe the beautfy of what surrounds the characters . . . the story is riveting and suspenseful. . . ."
". 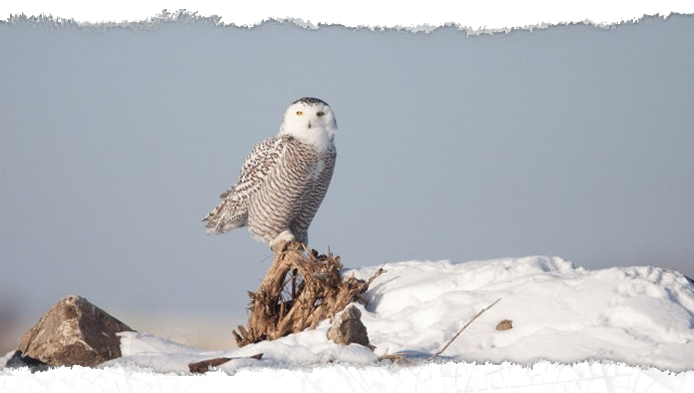 . . a heart-racing new novel, The Shadows of Owls, a literary thriller about a female marine biologist whose research jeopardizes the building of an oil pipeline in Alaska's Chukchi Sea." Mike Dillon, City Living Seattle.